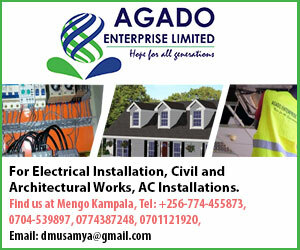 Uganda’s biggest Opposition Political party Forum for Democratic Change (FDC) is set to suffer its worst loss when its key Members of Parliament as well as its former President announce on Thursday that they are leaving the party. 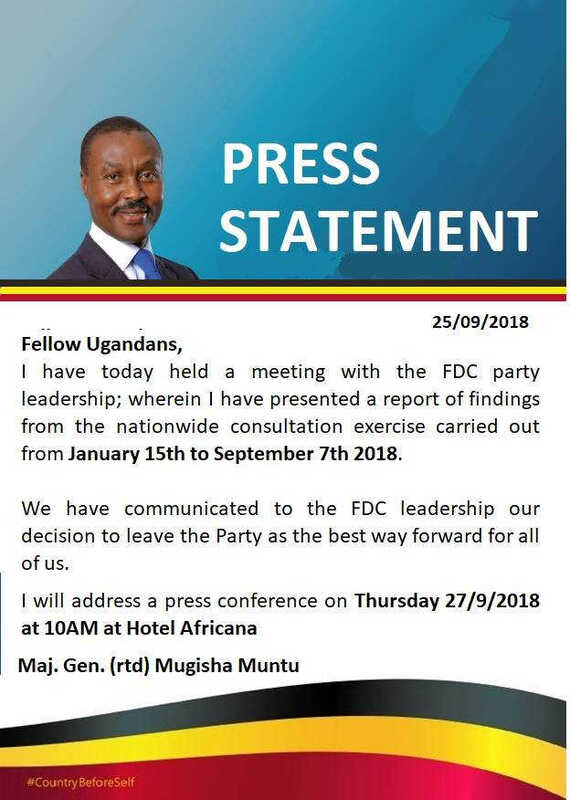 The move confirmed by the party’s former President Gen. Mugisha Muntu, comes hours after heated exchanges between Muntu’s faction and the party’s leadership led by FDC President Patrick Amuriat Oboi at Fair Way hotel in Kampala today. Below is Muntu’s statement which he posted on his Facebook page.